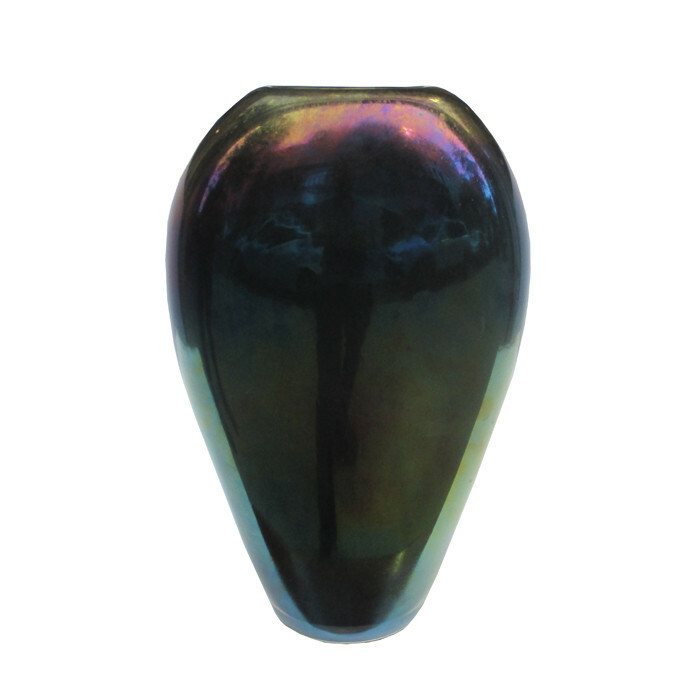 'Mora' Italian Art Glass vase by Alejandro Ruis for Venini & Co. Cased glass, clear and deep purple, iridescent. Marked: venini 2003 (engraved); maker's label. Dimensions: H:16 W:10 D:7 Inches.